A Canadian family got a bonus during their camping trip this week, when they bumped into a shirtless Prime Minister Justin Trudeau as he exited a cave in a Quebec Park. Jim Godby of Peterborough was out for a hike with his wife and two children at Gatineau Park on Tuesday, when they spotted the Trudeau family exiting from the Lusk Cave. “It was like a 20-foot-wide round hole and Justin (Trudeau) emerged with his family in tow and said, ‘This is the moment of truth; do we stop here or do we carry on?’” Godby told the Star. 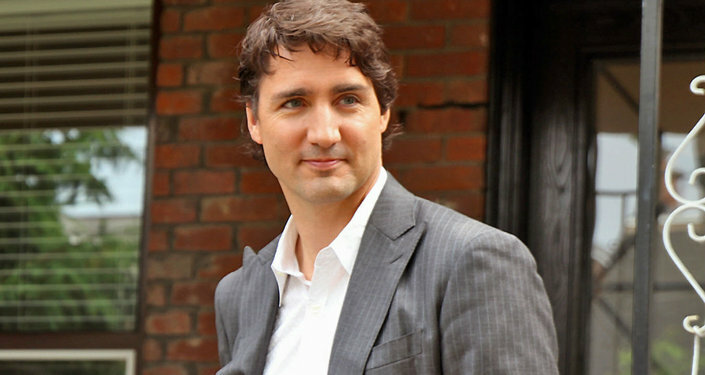 Godby recognized the voices of Trudeau and his wife Sophie Grégoire Trudeau immediately, and described the prime minister as sounding like a leader even when out enjoying the wilderness with his children. Godby spoke to Grégoire Trudeau, who urged him and his family to also explore the cave, while his son took a photo with the prime minister. Unfortunately, the Godby family had only prepared for a hike and weren’t dressed for cave exploration. “When you step out your front door, you never know what adventures await,” Godby wrote on Facebook of his chance encounter.